"Oh this? It's no big deal. 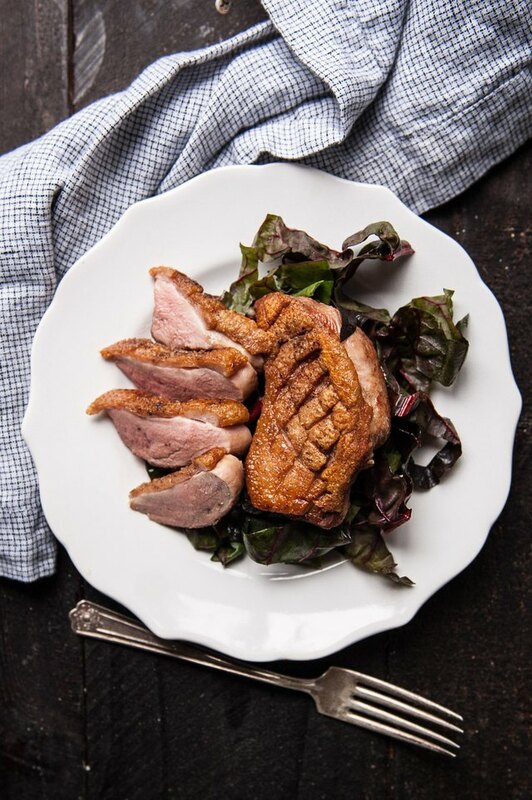 It's just pan seared duck breast with crispy skin. I just whipped it up." Even when you downplay it for your guests, they'll still never guess how easy it is. Just three ingredients and about 15 minutes and it's perfect every time. Just make sure to start with a cold pan, and no additional oils or fats and you'll get that beautifully crispy skin every time. Need a way to serve it? 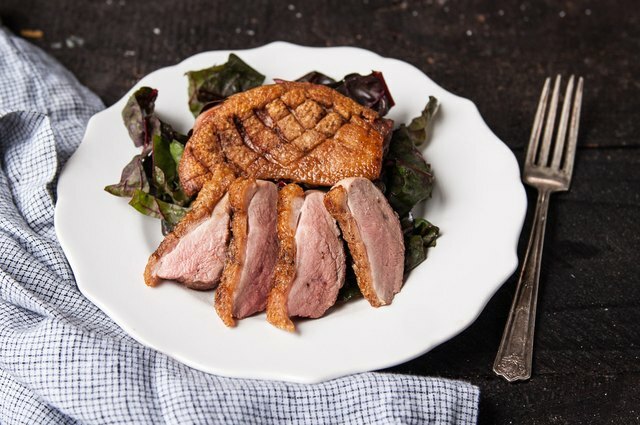 Try a simple salad or risotto on the side and top the duck with a drizzle of balsamic glaze or some fig jam. 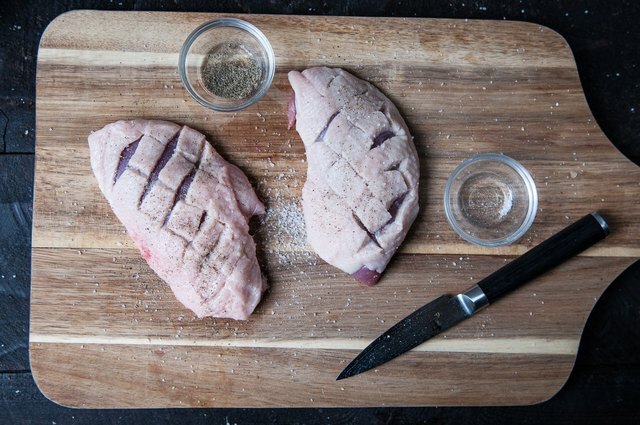 Pat the duck breasts dry. 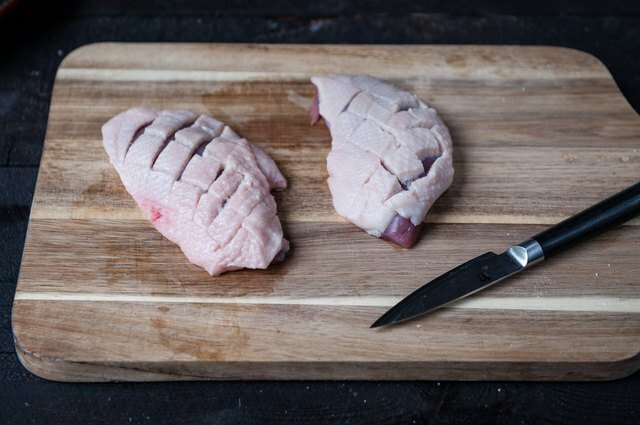 Score lines in the fat (not the meat) with a sharp knife about an inch apart in each direction to make a diamond crosshatch pattern. Liberally salt and pepper the duck on all sides. 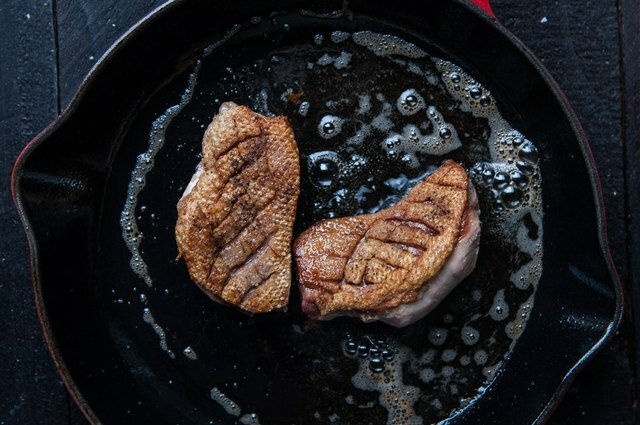 Add the duck, skin side down, to a cast iron skillet off heat. Add to medium heat and cook until the skin is crispy and most of the fat has rendered. Starting duck in a cold pan and cooking on medium heat will render more fat and crisp the skin much better than starting in a hot pan. 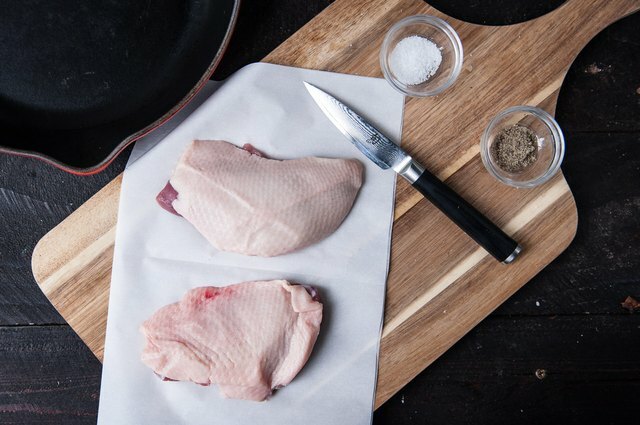 The duck will render so much fat, in fact, that you will not need any additional oil or butter when cooking. Flip the duck and cook on the other side until the duck is cooked through but still has a hint of pink in the center. 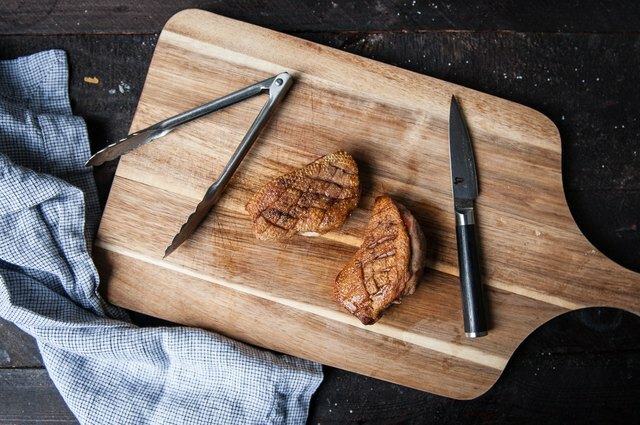 Although the FDA recommends cooking until 170 degrees Fahrenheit, most chefs only cook to 135 degrees Fahrenheit for best results. Save the fat! You will render so much fat that you'll have enough to save for roasting potatoes or making duck confit. Just save in an air tight container in the fridge. Remove the duck from the pan and allow to rest for 5 minutes. Slice, plate, and serve.